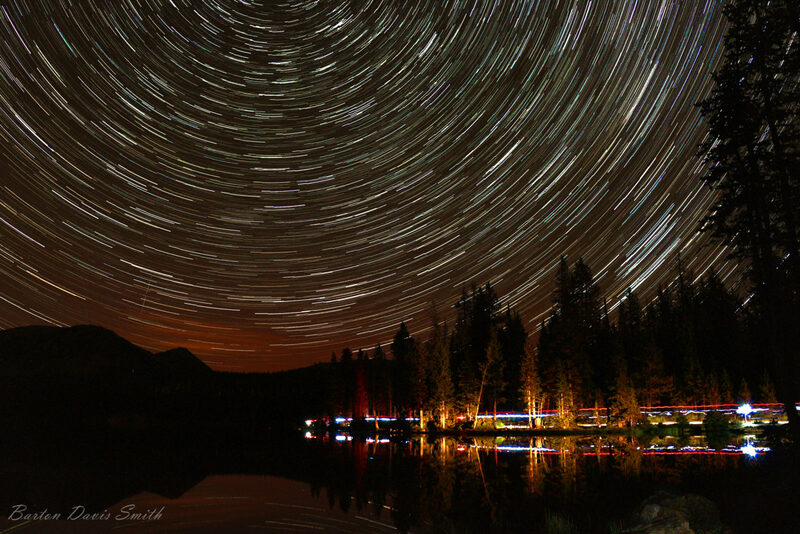 Star trails time lapse, approximately 100 photos. Lights along shore from people walking the shoreline with flashlights and headlights. Red horizon over mountains is the beginning of a rare and strong (for Utah) Aurora Borealis that occurred on the night of August 27, 2015.